Adam Weinberg went all Meryl Streep on us tonight. Like the impassioned actress speaking at the Golden Globes award ceremony last night, Weinberg never mentioned the President-elect by name earlier this evening, when he feelingly addressed the press at a cocktail reception at the museum. But neither speaker left any doubt that Trump was their subject. Weinberg’s comments could provide a road map for other museums seeking ways to react swiftly and meaningfully to our fraught political situation, while still allowing room for diverse points of view. It is our role not to let them own what we think of as America, but to express what we believe is America. 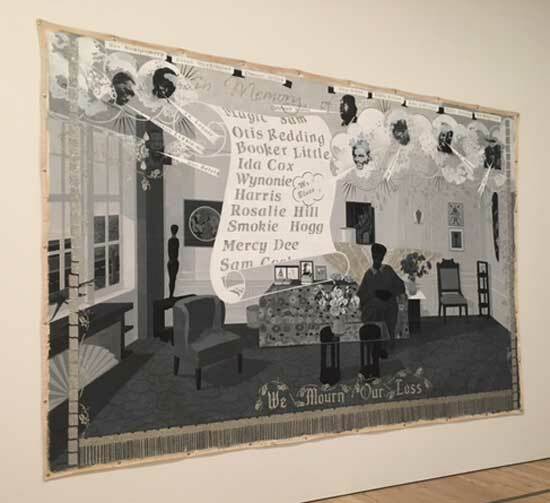 We feel that it is the role of the Whitney to express the democracy of art in all of its complications, all of its challenges, all of its forthrightness, all of its frustrations, all of its tenderness and all of its anger. And we hope that the Biennial [Mar. 17-June 11] expresses a lot of that…. Everyone knows there’s the J20 Art Strike and we’ve been asked what we are going to do. Are we going to be closed?…We are opening our doors as wide open as possible. We are not closing down. We’re actually going to do the opposite: We’re going make the museum free—pay what you wish—all day Friday, 10:30 a.m. to 10 p.m. Being a child of the ‘60s, all I could think of was the teach-ins [the response on college campuses, including mine, to the controversial Vietnam War]. So we are going to have a series of discussion groups that will be going on all day long. It will be open for people to bring their own contributions to this, whether their readings, artworks, songs or performances. This our territory. This is America. And we really need to express what we believe….I feel strongly about the Whitney’s role in that. It is our role not to let them own what we think of as America but to express what we believe is America…. We have a wonderful show of portraits from the collection, Human Interest [to Feb. 12]. What I like about this show is that it does represents the kind of America that I and most of us believe in. So we are going, throughout the day, to be having guided tours focused on aspects of immigration, ethnicity, race and American identity. We would encourage you to come to the museum if you need a place of refuge [shades of 9/11 and the Boston Marathon Massacre? ], conversation, anger, whatever it is. This is a home for that. What the J20 group did call for, besides the idea of a strike, was the idea not to go back to doing what we normally do and go about our regular business. We are not going back to business as usual. 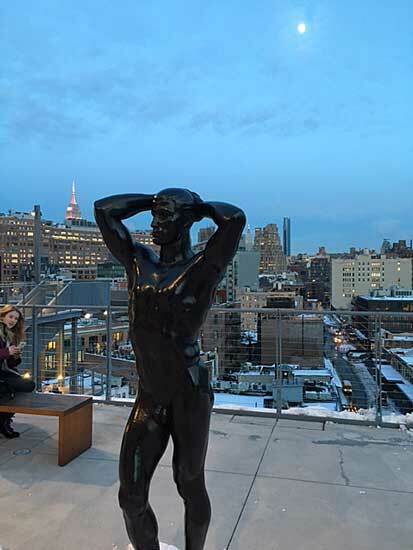 The Whitney museum is going to stay strong over the years ahead and keep that conversation going.